Former Real Madrid and Manchester United boss Jose Mourinho has finally responded to Zinedine Zidane's re-appointment as Los Blancos manager recently, stating that the Frenchman is perfect for the job. Prior to Zidane's return, Real Madrid had suffered a torrid week under Santiago Solari, crashing out of the Copa del Rey and the Champions League while also losing a grip on their race for the Spanish league title. The results put Solari's future at the Bernabeu in high risk, with several reports indicating that the club was looking for replacements. Mourinho, who was sacked by United last December, was one of the few names on the list of replacements. The Portuguese was reported to have had talks with club president Florentino Perez regarding his return. This reportedly raised concerns among the Real Madrid players, who did not wish to play under their former boss again. In a surprising turn of events, however, the club announced the re-appointment of Zidane last week putting all rumors of Mourinho's return to bed. 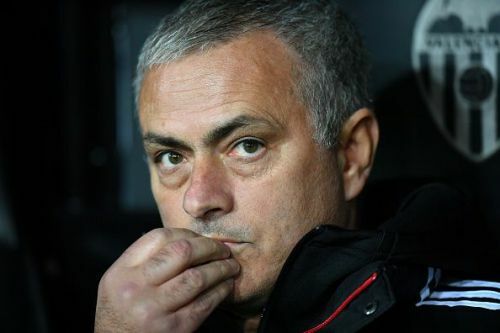 Mourinho has now responded to the decision, insisting that the club does not owe him any explanation for hiring the Frenchman instead of him. "Zidane is perfect for Madrid and this is perfect for himself for another great opportunity to show how good he is with a new project after the fantastic things he has achieved in recent years. I think it is perfect and fantastic." "I never said I wanted it or not. I just told you Zidane to Madrid is perfect." "Why would they need to give me an explanation?" Real Madrid will play their first game under Zidane this season on Saturday when they face Celta Vido in La Liga. What can José Mourinho bring to the Bernabéu?